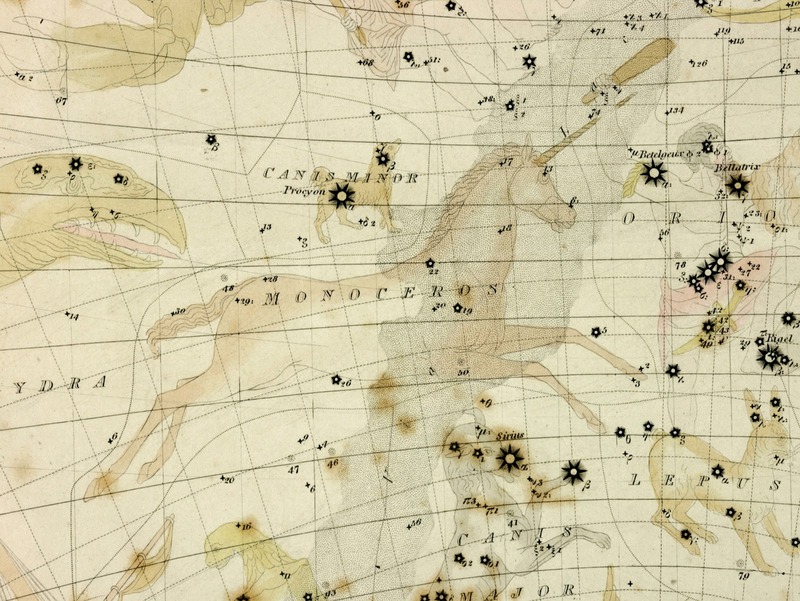 A walk through the southern sky : a guide to stars and constellations and their legends / Milton Heifetz, Wil Tirion. 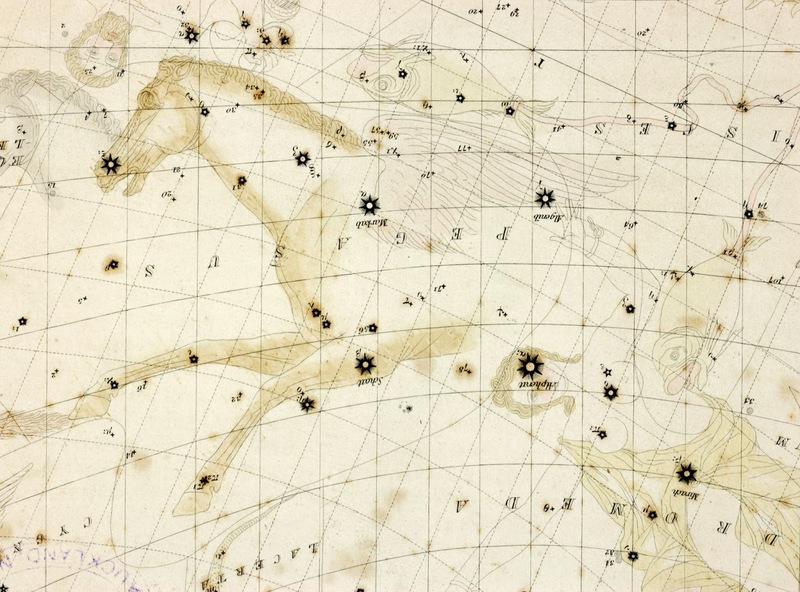 Sir George Grey Special Collections holds an historic example of one such guide to the night sky, though for the Northern Hemisphere. Six maps of the stars, published in 1833, is a thin volume with a total of 10 pages: 4 pages of notes followed by 6 plates. It was published by the Society for the Diffusion of Useful Knowledge which was an early 19th century British society who liaised between authors and publishers to produce affordable books on a variety of subjects for a mainly lower and middle class audience, particularly those who were unable or unwilling to obtain a formal education. The society also had a close association with provincial Mechanic’s Institutes. To map the surrounding skies on to a flat plane requires skilled spatial interpretation. The use of gnomonic projection gives the effect of spherical curvature, as if the sky were a vaulted ceiling above the earthly plane rather than space extending immeasurable distances in all directions. 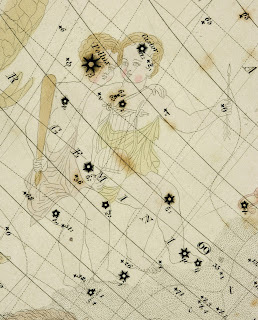 A key to the size of the stars may be seen to the right of the image, with the brightness of stars indicated according to the number of stems on the asterix. 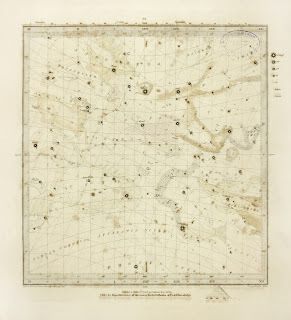 Ref: Six maps of the stars, showing a section of the sky, 1833, Sir George Grey Special Collections, Auckland Libraries, 523.8 S68. 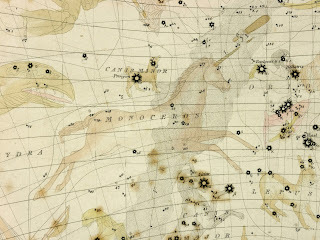 Beneath the stars lie subtle pastel illustrations of the classical beings and objects represented by the constellations. 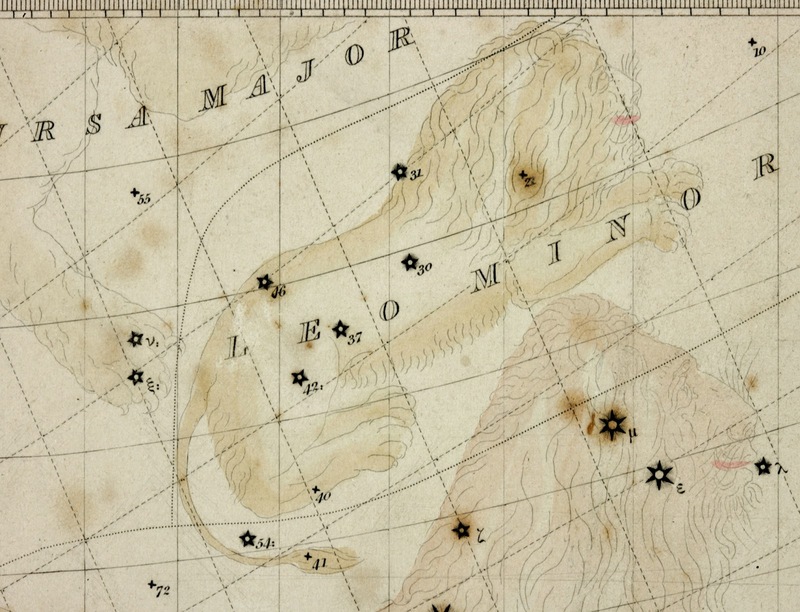 These groupings made it easier for star-gazers to find significant clusters in the sky. 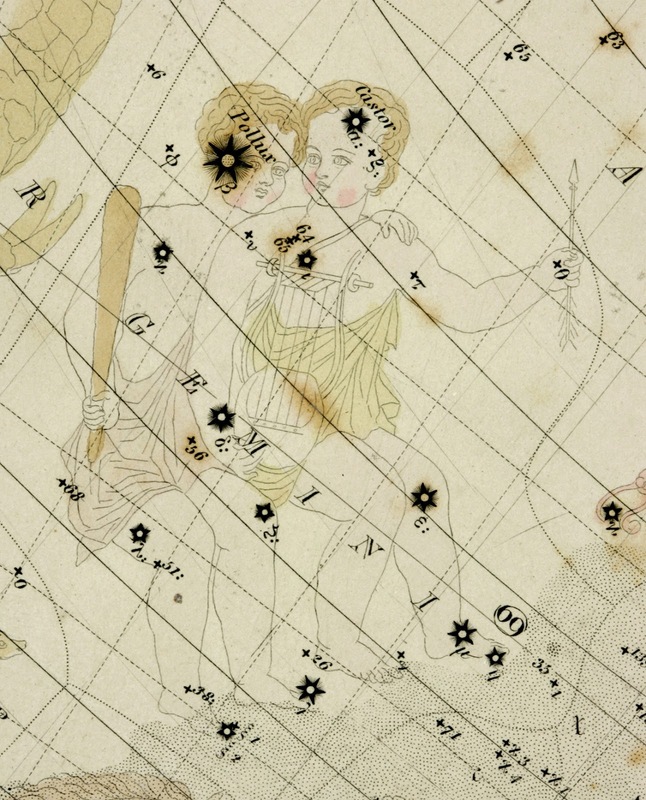 Ref: Six maps of the stars, Gemini, 1833, Sir George Grey Special Collections, Auckland Libraries, 523.8 S68. 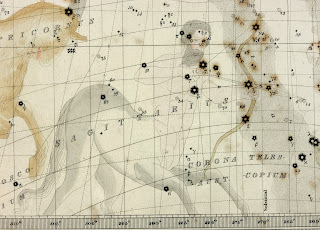 Ref: Six maps of the stars, Sagittarius, 1833, Sir George Grey Special Collections, Auckland Libraries, 523.8 S68. 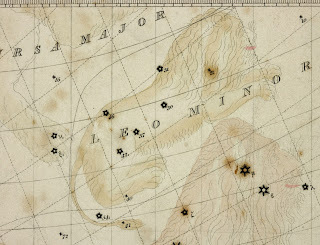 Ref: Six maps of the stars, Leo, 1833, Sir George Grey Special Collections, Auckland Libraries, 523.8 S68. 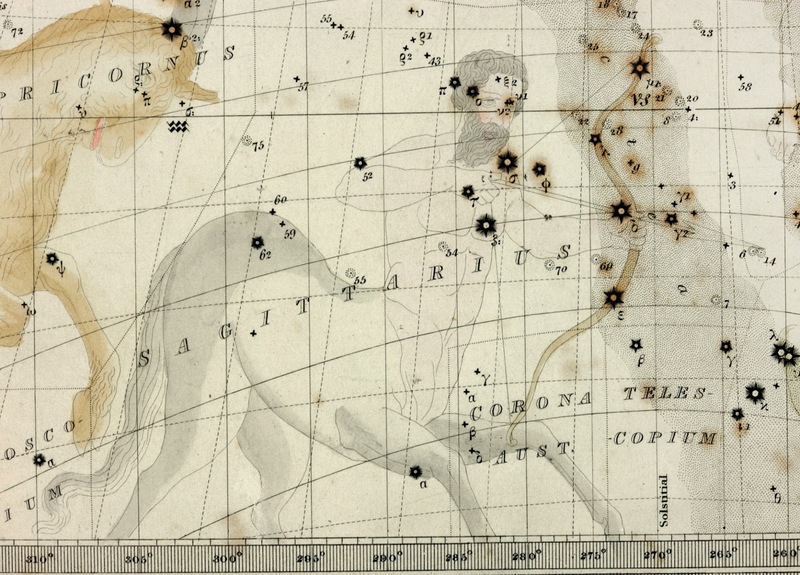 Ref: Six maps of the stars, Monoceros, 1833, Sir George Grey Special Collections, Auckland Libraries, 523.8 S68. 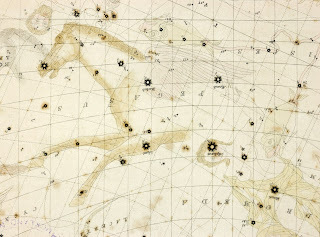 Ref: Six maps of the stars, Pegasus, 1833, Sir George Grey Special Collections, Auckland Libraries, 523.8 S68. 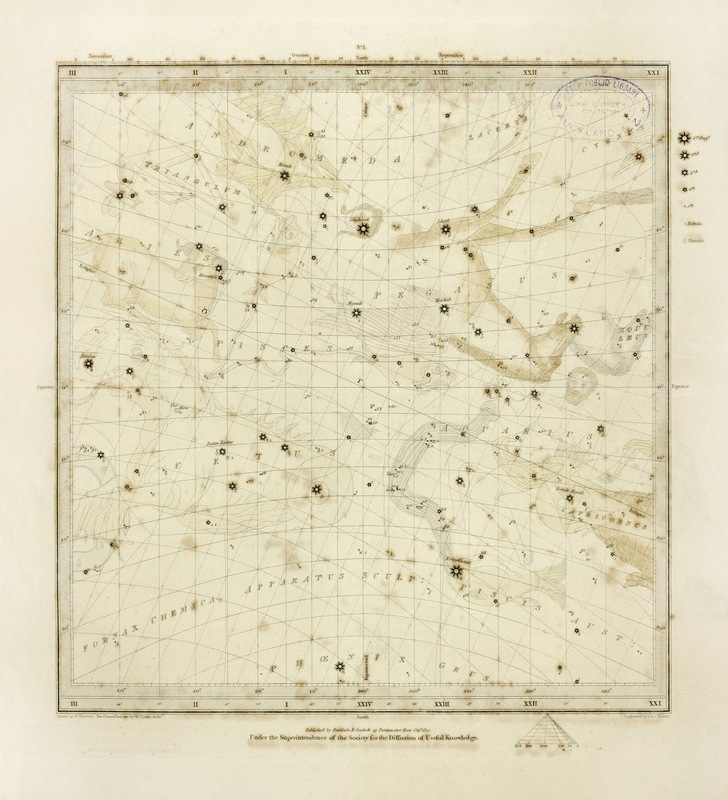 Six maps of the stars and other treasures from our map collection may be viewed in the Sir George Grey Special Collections reading room, open from 9am-5pm Monday to Friday and 10am-4pm Saturdays.